Three years ago, I found myself in a pretty bad place. I was in a relationship that had deteriorated—though I refused to acknowledge the reality of the situation for too long. So I was blindsided when my boyfriend at the time (and, uh, roommate at the time…I had moved into his apartment just three months prior) broke up with me one random Sunday morning. I was heartbroken and terrified. Somehow, a running store came to my rescue — the same running store where I bought my first pair of “real” running shoes after going for my first two-block run a few months after moving to New York City. I had applied for JackRabbit Sports‘ “Run for the Rabbit” marketing campaign on a whim. A Facebook post on the store’s page said they were looking for “runners who wanted to train for a marathon while also raising money for a cause that’s important to them.” Check and check. Out of a field of more than 300 applicants, I was chosen. The Run for the Rabbit finalists: Ben, me, Cipriana, Margaret, Anthony and Kim. At a time when I didn’t feel very special or lovable, JackRabbit saw something special — something lovable — in me. Being a part of that campaign changed my life so profoundly. I met amazing people, like Coach Cane. He has a son now, and I have a lot of split ends now. I got to be in the store’s commercials, which felt pretty cool. Filming one of the JackRabbit commercials one morning at the Upper East Side store before going off to run the Scotland 10K with the worst allergies ever. Aw, memories. 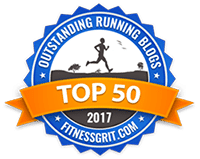 I learned all about running dos (take rest days!) and don’ts (secretly take a spin class on those coach-mandated rest days). I had one of the best nights of my life at JackRabbit’s Upper East Side store. My in-store event for Run for the Rabbit. We played trivia. There were a lot of “Saved by the Bell” questions. I found a tremendous support system as I documented my training and fundraising for the Crohn’s and Colitis Foundation of America here on this little blog. I created the I Heart Sweat brand, which was a shocking success. And I purchased my first trademark! I raised $20,000 for CCFA. I trained for my first marathon, and that race day was the best day of my life. The morning of the Hamptons Marathon. All smiles for hours and hours and hours that day (minus the hours between miles, oh, 13 and 25.9). On our secret little trip to Disney World very soon after we started dating. At a time in my life when I felt so lost and so sad, and when I didn’t really want to accept that I needed help, JackRabbit saved me. At a JackRabbit event in Central Park. We had a shoe-typing competition. I was undefeated because I took it WAY too seriously. So now here I am, three years later. I posted back in November about how I was feeling claustrophobic. I was having panic attacks and I couldn’t find the root of my problem on my own. I needed something, but I didn’t know what it was. Then I got sick — again — and I was temporarily distracted from my overwhelming feelings of wanderlust. I did OK being sick at first. December wasn’t terrible since I got some time off for the holidays, and January was so cold that it made being stuck in the warm bathroom kind of tolerable. By February, though, the old feelings of depression had returned, and in full force. I felt that there was so much I couldn’t control. Without your health, you seem to have so little. I was sick, tired, stressed, angry. Now here we are in the burgeoning springtime. As I’m slowly feeling better (most days, at least; I still spend more time in the bathroom than you probably do, and these night sweats just keeping popping up unexpectedly), I’m relishing the warmer days and the runs I get to take. East Drive, you’re a vision in springtime. There’s so much in life I can’t control, and accepting that over the past few years has really helped me. I’m still obsessive about making the bed every morning, but beyond that I’m doing OK learning to manage my stress and roll with most of the punches. And, I’ve learned, there are some things you can control. Today is my last day as editor in chief of Dance Spirit magazine. A parting gift from the Dance Spirit staff. Cover lines include “How to Rock Sweats at Work” and “Legwarmer Chic.” Pretty spot on. Thanks, DS — you get me. I declared this my dream job when I was just 16 and made it my life goal to move to NYC someday to make it happen. I feel so deeply lucky that I was able to make my dream come true. But after seven years, it’s time to move on and try something new. It’s time to make new dreams. That De la Vega, always popping up when I need him most! On Monday — three years exactly since I announced I was a finalist in the Run for the Rabbit campaign — I will be starting a new job as the Digital & Editorial Manager at JackRabbit Sports. We have a good history, me and JackRabbit. Now we’re going to make a beautiful future together. <3 <3 <3 Best of luck, my dear friend. So excited for you! Congrats on the new job! I hope this next step in your life is life-giving and restorative in so many ways for you! That’s great! Keep following your dreams, even if they change. Good for you!!! You seem like SUCH a hard worker and go getter — this is going to be great for you! Congratulations Ali! It’s so funny how life works out…you never know when a new door opens for an opportunity! 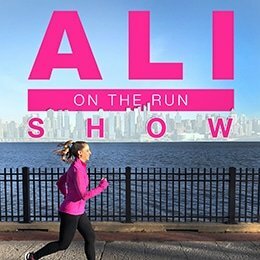 Ah, this is so great to hear, Ali! It has been fun to follow your journey and root you in as you overcome challenges. And now pretty damn inspiring that you’ve moved from one dream job onto the next. Congrats chica! Congratulations!!! Exciting!! I hope this change will also help you feel better! This sounds like the perfect transition for you. That’s awesome, congratulations! How exciting! Congratulations on the new job! Congrats! You deserve some good news! Some pretty awesome things have happened for you in the past few years! Congrats! How very exciting! Congratulations and best of luck with this next step in your career and life. Awesome things on the horizon for you! Chase your dreams! You’re an inspiration! Sooo excited for you building your future! Congratulations and enjoy.every.moment!! Whoa, congrats! Sounds like a really cool job, and totally perfect for you. Very happy for you (and surprised!). That’s great! Congratulations. I love JackRabbit. Congratulations!!!! That sounds like the perfect for for you!!! Based on reading your blog, I know you will be amazing! I love so much about your writing, honesty and hope you approach blogging. Thank you for sharing your journey! Hello! 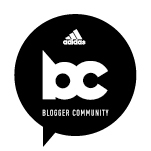 I’ve been a silent reader of your blog for some time now and I just wanted say how much you inspire me. I know you probably read or hear these words often but I truly and sincerely hope you find relief soon and beat that terrible illness. I think it’s amazing how you persevere and try to always look at the good in your life despite what your body is doing. Keep making goals 🙂 its what will keep you going. And congratulations on the new job!! Exciting news! Congrats and best wishes to you! That’s really amazing! Can’t wait to hear more about this. Congratulations!! Ahhhhh, this is SO COOL! I am thoroughly impressed and I think it sounds like a perfect fit for you. Congrats!!! I’m SO excited for you!!! Definitely a perfect fit. Change is good my friend 🙂 it brings fantastic surprises along the way. WHOA! You are awesome, Ali! CONGRATS! Ali, I love to read your posts. I am sorry about your recent break up. He will regret it because you are a beautiful, smart, funny, sweet woman and they are hard to come by. Keep it up girl! The breakup was three years ago, so I’m OK 🙂 Hehe. Thank you! Ahhh I had a similar break up maybe like 4 or 5 years ago now? At the time I really thought I was gonna die, but isn’t it funny the way life kicks some folks out to make room for cooler ones? Oh Ali this is fantastic news! Congratulations on the new job and also so many hugs for having the guts to leave Dance Spirit. Leaving somewhere you’ve been for a long time, where you’re comfortable and ‘safe’ is always incredibly gutsy! Now you HAVE to keep on blogging. Awesome! Congratulations on the new job! Congratulations, it sounds like a great job. Mazel, Ali!!! You are such an inspiration for every single one of your readers, myself included. A little less than a year ago, I took a leap and left my career as an attorney (one that I had spent years and lots of $$$ pursuing) to take a leap (and a gigantic pay cut) in a new career…and I couldn’t be happier. but how will i get broadway updates on the latest and greatest?!?!?!!! Omg Ali!!! CONGRATULATIONS!!! This is awesome news. I can 100% reflect your love of JR (and it’s saving powers at the best times…how does it do it!? ), so this is super exciting! It’s so perfect, congrats girl. You don’t know me, I have never commented before, but have followed your journey from Jack Rabbit through the marathon and every blog since and I literally have tears of JOY in my eyes for you! CONGRATULATIONS AND GOOD LUCK!!!! Huge congrats, Ali. It sounds like this was a good step for you—I’m psyched that things are looking good for you! Yay!!!! Over the moon happy for you!!!! Congrats!! What great news! Maybe a change in seasons and a change of scenery is just what your body and mind need. Best of luck to you! Congratulations! Wishing you all the best in your new endeavor. Congrats!!!! Best of luck with the new gig – so exciting 🙂 I’ve loved reading about your journey so I’m excited to follow this new phase! xox Send you all of the healthy vibes!!! So very proud of you Alison! Can’t wait to see where this leads you. Congrats lady! I hope this opens a door of wonderful things for you! Awesome, congratulations! Sounds like it will be a fun move! Congratulations on the exciting new position. Change is a good thing. You will be reinvigorated by this new job. Omg!!!!! So excited for you!!!! Seems like a 100% perfect match (like Brian!!!) and such a fun thing to have ahead!!! Congratulations and many successes ahead!! out so many helpful info here in the publish, we need develop extra techniques on this regard, thank you for sharing. You go girl! Have fun with this new opportunity, sounds like a great fit ! Sounds incredible – you are a perfect fit! Congratulations! Wow! Congratulations! As a former dancer turned runner, this sounds like such a perfect transition! Best of luck! Wow, this is amazing! It’s crazy where life can take you without you planning it, isn’t it?! Congratulations! I love Jackrabbit, too! Life moves in mysterious ways! May this next step in your journey bring you SO much happiness! Such great news! I love Jack Rabbit. Change is good, best of luck! Wow, what a great fit. Nicely done! So exciting! Happy for you Ali! This will be so so so good. Oh my goodness! Congratulations! That is truly awesome. Congratulations, Ali! What wonderful news. It sounds like Dance Spirit has been a wonderful place for you, but sometimes it’s just time to move on. That can be really hard to recognize, so good on you for making the move at the right moment for you. Best wishes for a bright future with JackRabbit! I can’t wait to hear all about it. That is super cool!!! Congrats! my first time ever commenting — I love this update. What an exciting new chapter for you. Congrats, Ali! What an amazing story and the best of luck to you on your new journey! WORD UP! This is amazing news! I’m thrilled for you!!!! Can we please get a drink or go for a celebratory run some day? Yay!!!! Congrats! Congrats on the job! On a side note, I went through and perved the break up story that you linked at the beginning…..and maybe this isn’t really for me to judge considering I just read about your life on the internet. Brian >>>>>>>WAY Greater >>>>>> Abs. Obviously, you know that. ahhh congrats! that’s amazing news! 🙂 hope you love every second of this new journey. SO EXCITING!!! I can relate to it being time to create new dreams, i’m in the process of doing so myself.